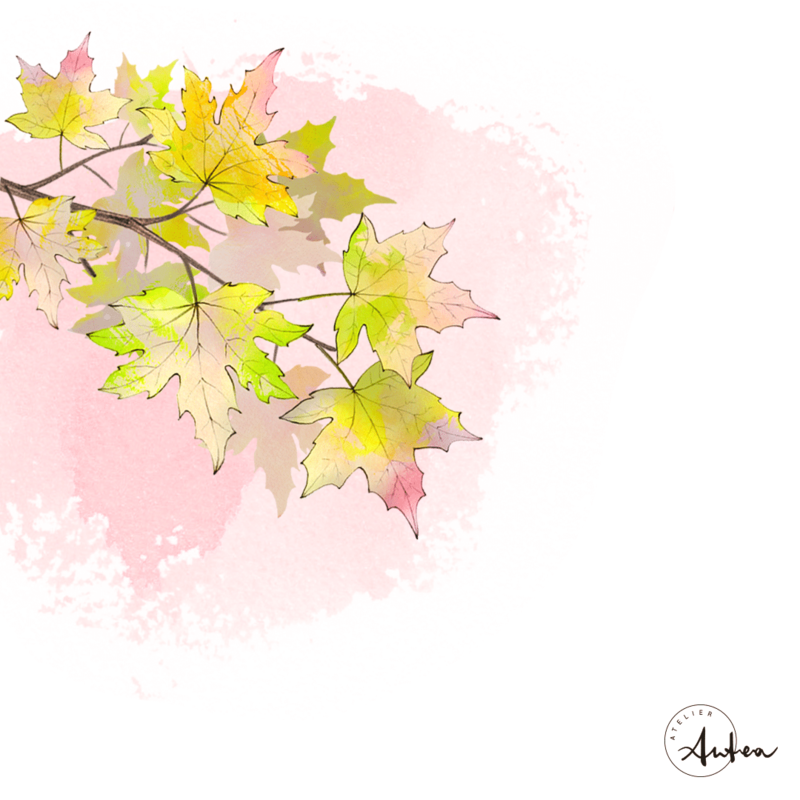 Following up the summery illustrated GIF, for my second seasonal illustration, I focused my attention on the autumnal play of colors. The natural world is a particularly prolific source of inspiration indeed. I particularly love to see how the colors change from one season to another. I find it so inspiring. How the Fall is rich in warm neutral and golden tones, so the incoming Winter is bright for its cold hues and for the white. In my drawing, I tried to capture the sensation that brings you wearing a soft, cozy sweater on an autumnal sunny day, when the temperature is cold but the light is warm and the nature friendly with all its multicolored trees and plants.